One of the ten best films ever made. Martin Scorsese’s GoodFellas (1990) is the ultimate time capsule film of three decades of life in the Mafia. Starting in the 1950’s the gangster lifestyle was at its most ideal, when the cops were easiest to pay off. It was a glorious and glamorous time – the cars, the booze, the nightclubs, the all-night card playing, the stacks of money, the mistresses, the fur coats for the wives, the ball-busting. The semi-autobiographical voiceover narration by Ray Liotta and Lorraine Bracco (as Henry Hill and wife Karen) is crucial to the film’s success because they tell their exploits with fondness. Scorsese’s camera scoots and zips around the film with documentary-like concentration in its entirety, desire for plot is arbitrary. We watch the behavior and are captivated by it. We know everything these characters do is morally bad. But you can’t help but fantasize being a part of the special privileges these guys got to live with. 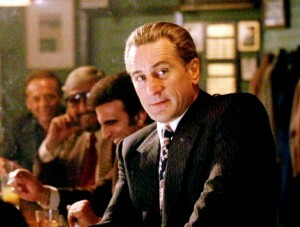 I have always preferred “GoodFellas” over every other mob film from day one. “The Godfather” is a handsome classic Greek tragedy of a film, but have you ever fantasized about being one of the Corleones? One of the muffled complaints over the years is that Henry Hill doesn’t have to do as much of the whacking or dirty stuff compared to the others. Not true. Henry gets busted in Tampa, Florida nearly feeding a schnook to the lions at the zoo. Henry overall is a special case, not said outright in the film. He’s a handsome kid, a glamour king for the Mafia outfit. Consider the film’s most famous shot – the camera tour through a red-lamp Copacabana nightclub via the backdoor so Henry can take Karen out on a meaningful date. Henry is luckiest amongst the mob family because he gets to be along for the ride of a lifetime, is even doted on (free champagne bottles from the guys at the other table over there! ), and only gets his hands roughed up occasionally. Everybody has their own particular role. Look at Paul Sorvino as the Mob Boss Paul Cicero, who doesn’t budge or move much at all. “Paulie may have moved slow, but only because Paulie didn’t have to move for anybody,” Hill says of him. He has a stillness, he is respected. The key advice Cicero makes in the film is not using the telephone for any purpose – messages are to be hand-delivered or brought face to face. At the end, FBI phone wiretaps hurt the confidentiality of others who didn’t obey that advice. 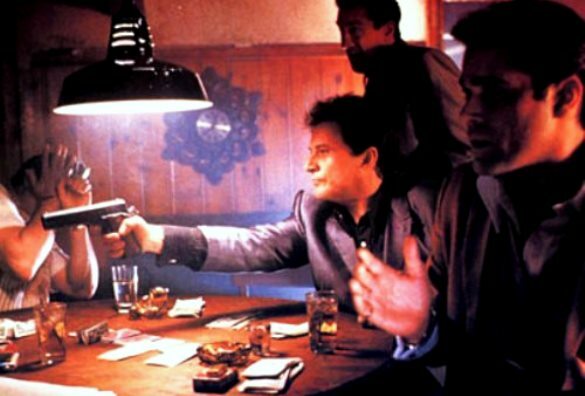 If you wanted a killer, then Joe Pesci as Tommy Devito was the guy. Tommy was used to shooting guys (indiscriminately!) and burying the holes off the highway. You didn’t need Henry to shoot guys when you had Tommy gleefully doing the work, you sense Tommy volunteered to do hits. Not an authorized hit is when Tommy kills Billy Batts in 1970, a Made Guy, and it takes nearly a decade for word to get around for Batts’ family to get revenge. Last you have Robert DeNiro as Jimmy Conway, who is a born gangster, the kind of guy who “cheers on the bad guys in the movies.” Jimmy is the pragmatic gangster, the apple in Cicero’s eyes. He operates with the cool and smarts of an endurable wiseguy. Jimmy also turns out to be the one that turns his back on others, with paranoia oozing out of him. He serves prison time once, and he’s never going back. 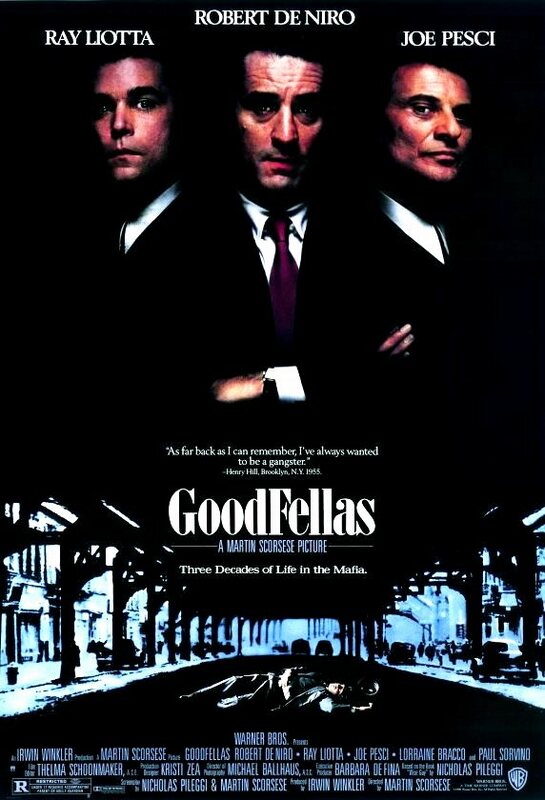 I saw “GoodFellas” three times in theaters the year it came out. It wasn’t until the fourth or fifth time it came out that I started to become disappointing that it doesn’t show the Lufthansa heist, which is said with pride by these wiseguys to be the biggest heist in American history. I wondered at the time if Warner Bros. was too cheap to dish out a bigger budget for Scorsese to work with. After all these years, I am now satisfied that Scorsese doesn’t show it. What Scorsese does is introduce an excited round-up of all the main guys and secondary mob hangers-on involved in the heist. What happens in the heist aftermath is Jimmy ruthlessly cutting corners by whacking a series of non-essential and undesirable guys connected to the robbery. I’m left fascinated like a puzzle-solver watching the behavior of the cohorts involved and speculating how necessary it is or not for Jimmy to order hits on them. Yes, ruthless is the word. Tommy is a sociopathic hothead, but Jimmy is one mean backstabbing sonuvabitch ordering his own friends to be dead. I’ve never had a viewing in which chills didn’t run down my spine when “Layla” by Derek and the Dominos flares the soundtrack while a shot reveals two dead bodies in a pink Cadillac. By the late 1970’s, there’s a difference in mob moneymaking that shifts mob behavior. The drug trafficking angle was appealing for the low level gangster like Henry Hill because of the fast cash, but it also – what Henry couldn’t see at first – called too much attention to FBI authorities. Henry also can’t see that the cocaine he snorts alongside with his wife Karen and with his mistress, began to tarnish the coolness of gangster life. You’re watching the end scenes happen, and you’re rewinding the film in the head, realizing the 50’s and 60’s were… gee, life at its most awesome. Henry becomes an inevitable federal witness to save his own skin, learned backstabber behavior within the mob culture. But the film never loses its bravado – that voiceover track never stops being enthralling as he recalls his gangster lifestyle. Scorsese has been saluted for so long for being America’s best director that today’s younger movie fans only know his name by reputation, or only know him as the guy who made “The Departed” (2006). If you’ve never seen a Scorsese classic, I implore you, start with “GoodFellas.” It is the most essential of all his films, more so than “Taxi Driver” (1976) and “Raging Bull” (1980) included. Film Cousins: “The Godfather” (1972); “Once Upon a Time in America” (1984); “Pulp Fiction” (1994); “Casino” (1995).